Designing a new home or remodeling your old one means a lot of hard work, time involvement and money. And one area which needs all these three in spades is the kitchen. For most of us the kitchen is the most important part of our homes and greatly reflects our style and personality. It gives out the true essence of home and hearth, of the kind of family image and personality we want to reveal to the world. The kitchen décor therefore is key to the overall décor balance and needs to fall into place with the rest. 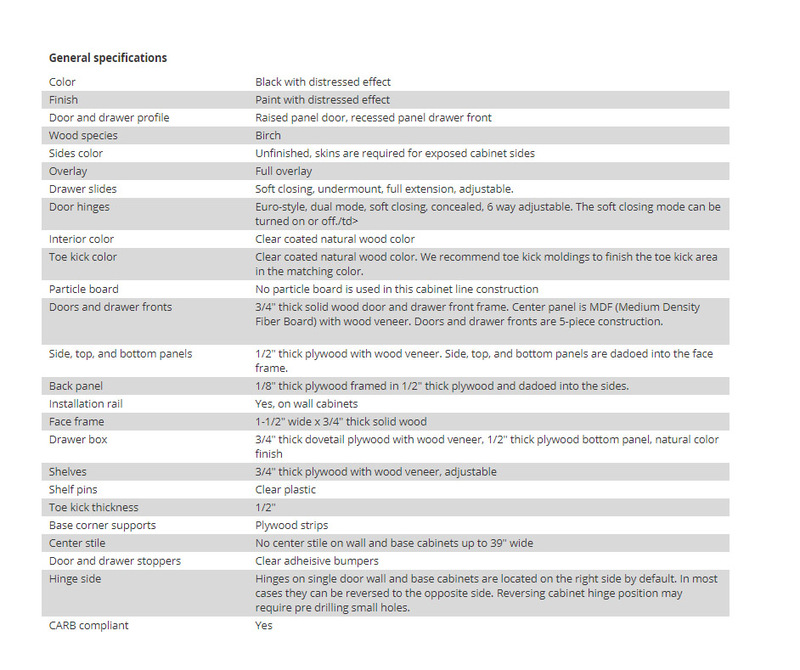 Along with every other item here, the kitchen cabinets too need careful consideration. 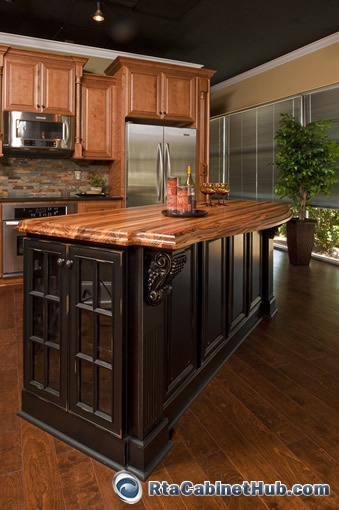 One way to ensure that you get both style and affordability is to opt for ready to assemble kitchen cabinets. And if you are looking for a kitchen look that will truly stand out then you should definitely opt for the Distressed Black Style of cabinets. This style is bolder than the rest of the designs and gives a look and feel of avant garde as well as durability. Most people either opt for the earthy look or go the other extreme and opt for ultra-chic functional look. This style falls right in the middle. It is a modern element which blends in with the traditional and does not take away the warmth factor from the kitchen décor. And if you are wondering why you should opt for rta kitchen cabinets when you can get a customized one, then consider these points well. With a customized cabinet it’s true that you get to decide exactly what you want and get the right style you have in mind. However, this comes at a price because this one-to-one factor makes it expensive. Also it is not readily available but custom made which needs time and you can never fit in a carpenter’s schedule within your own estimated time of kitchen completion. This means you will suffer delay and loss of money while you wait for them to be finished. With ready cabinets like the Distressed Black Style of kitchen cabinets you will get style, quality as well as value for money without losing any construction time. Though the popularity of ready to assemble cabinets is on the rise, many people are still wary of purchasing them. Rightly so, for not all brands offer good quality for the price they demand. 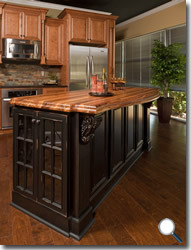 Customers often feel it is better to spend and wait for customized cabinets rather than buy the ready ones. But when you opt for a reputed brand then the results are completely different. You get the style you want; in fact sometimes you get better style options. You get them at unbelievable prices and amazing discounts without having to compromise on the quality at all. 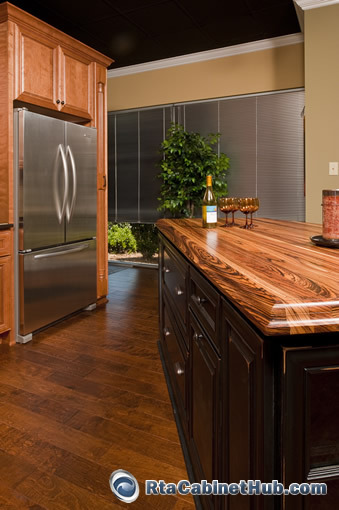 With the Distressed black kitchen cabinets you get full birch wood cabinets and no board anywhere. The internal cabinet boxes and shelves are made of plywood while the doors, drawers and face frame are all made of solid wood. The interiors are finished in natural color creating an even and elegant finish. The exposed sides are best displayed with unfinished skins. 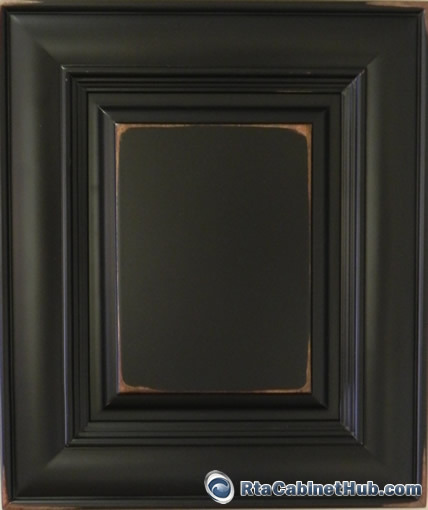 Easy assembly instructions and great discounts make Distressed Black cabinets like this one the best return for your investment.